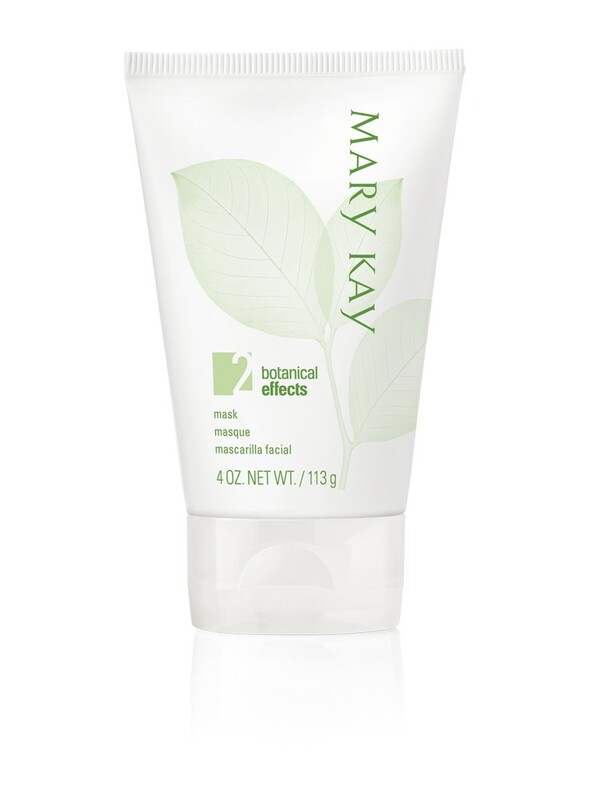 With the goodness of botanicals, the Mary Kay® Botanical Effects® Mask Formula 2 for normal skin gently removes impurities as it revitalizes skin. Simply apply after using Botanical Effects™ Cleanse for normal skin and follow with Botanical Effects™ Hydrate for normal skin. Use in the evening, two to three times per week. · Botanical complex contains powerful antioxidants. Our complex includes two nourishing botanical extracts that benefit all skin types. - Silymarin (milk thistle) is a powerful antioxidant that helps defend against environmental damage while helping to calm and soothe skin. - Luo Han Guo, also call the “longevity” fruit, is known to contain potent antioxidants and also is believed to help promote healthy skin. · Frangipani flower helps protect against environmental stressors. The frangipani flower is known for its calming and soothing benefits and is an antioxidant that helps protect against environmental stressors. · Water lily is important for healthy skin. An antioxidant, the water lily is reported to be a source of nutrients that are important for healthy skin. Botanical Effects® Mask Formula 2 for normal skin is one part of a simple regimen designed to help your skin achieve healthy balance. It contains two nourishing botanical extracts – Silymarin and Luo Han Guo – the sources of which help defend against environmental damage and help promote healthy skin. Normal skin is treated to the antioxidant powers of frangipani flower and water lily extracts.